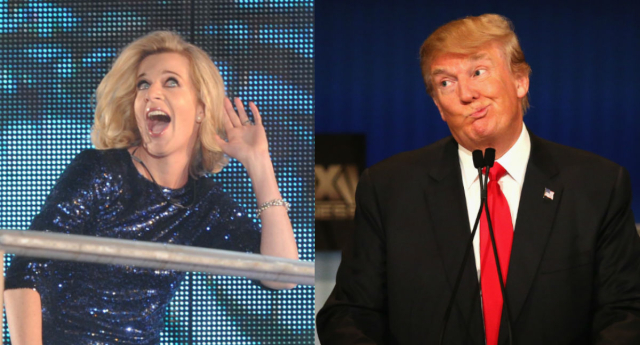 Katie Hopkins finally set to leave the UK following Trump win? Katie Hopkins has made series of “promises” in the past twelve months – including streaking through London with a sausage up her bum following Sadiq Khan’s mayoral triumph. Although the LBC presenter is yet to honour her that particular pledge, Hopkins’ critics are hoping she sticks to her word regarding a similar promise made about the newly elected President Trump. “If Donald Trump wins the race to the White House I’m moving to America. Daring to bare what some people really think,” she wrote last December – months before Mr Trump had even secured the Republican nomination. However, following the news that the controversial multi-millionaire had beaten his rival Hillary Clinton, Hopkins’ haters were only to happy to remind her of the tweet -with some even offering to pay for her ticket. No word yet on whether the former Apprentice contestant intends to make the move across the pond, but if she does, we’re sure she’d be warmly received by the new leader. Earlier this year, Hopkins also revealed that she is bisexual – but said she has never had the chance to experiment. It was recently announced that she is to present her own show on national talk radio station LBC. Hopkins appeared as a guest presenter on the station a year ago, where she was attacked by listeners over a Sun column in which she compared migrants to “cockroaches”. She also had her self styled ‘gay icon’ status revoked after claiming that ‘100%’ of British Muslims want homosexuality banned.